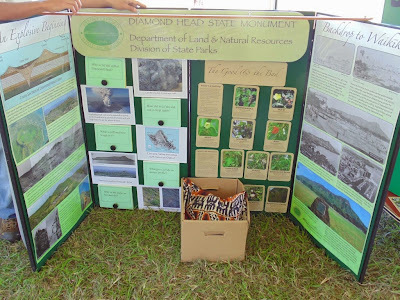 Continuing our Science Alive at the Bishop Museum series is a look at Diamond Head. Regular readers have seen many picture of this landmark and of the popular hiking trail up the crater. This display showed how Diamond Head Crater was created and a about various types of volcanoes. It also display some native plants and invasive plants that you can find along the trail as well as at various parts of the island. 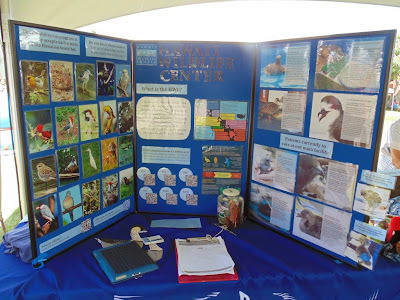 At the Bishop Museum Science Alive fair I got to learn more about the Hawaii Wildlife Center. 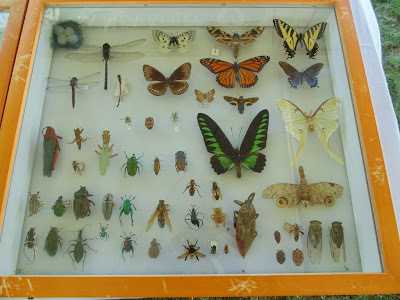 The non profit organization provides care for all species of native birds and the Hawaiian hoary bat. They also provide comprehensive wildlife rescue training and public education as well as outreach programs. If you ever encounter any injured native wildlife they are a good organization to call for assistance. They also have a cool gallery of native wildlife here. Tropicana by FreeStylez.co.uk. Sponsored by Florida Keys, Key West and Islamorada.